News broke yesterday that HJ Heinz Co. will close its plant in the town of Leamington in southwestern Ontario. 740 people will be out of work as Heinz turns the page on more than a century of ketchup-making in Southwestern Ontario at one of its largest facilities. 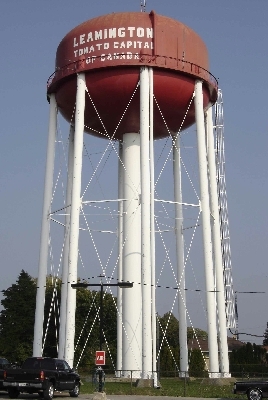 The town’s water tank was painted like a tomato. The tourist information booth is shaped like a giant tomato. But what, I hear you ask, does this have to do with layout design? Good question. 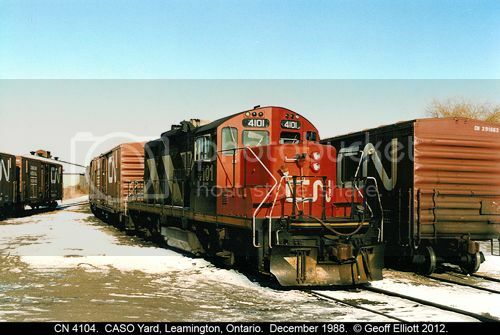 At one time, the Canada Southern Railway had a branch that ran roughly 15 miles south from the mainline at Comber, Ontario to Leamington. 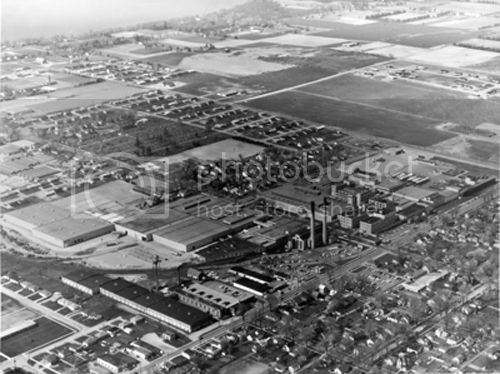 It passed through a couple of farming communities – there were elevators at Staples and Blytheswood – but its main customer was – you guessed it – the Heinz plant at the end of the line. One could be kept quite busy shuttling cars into spot order and dropping them in the various spurs around the plant. Given that this is a production facility operating in the modern era, it would probably be necessary to switch at specific times when workers are not in and around the cars, too. The plant itself is quite interesting, with a variety of textures and stacks, including a large stack with Heinz spelled out in the brickwork. Sean Marshall (no relation) has a photo set for Leamington on Flickr which includes several shots of Heinz. Enjoy if you visit. 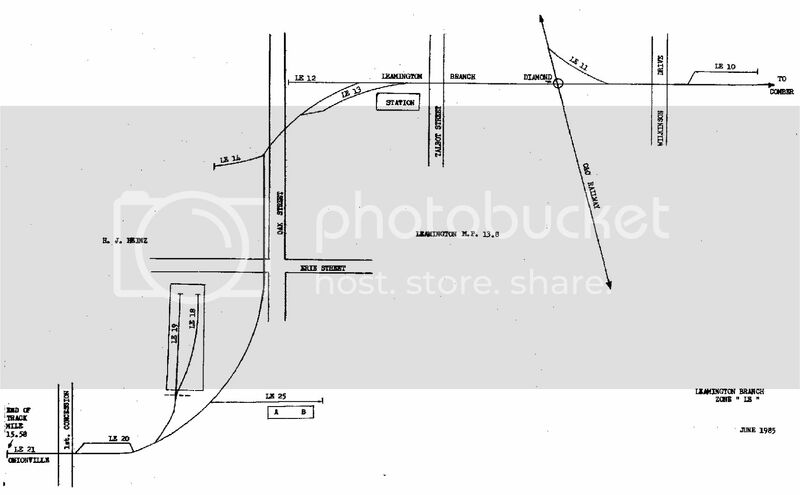 While you’re at Terry’s site, be sure to conduct a search for the town names I’ve listed. You’ll turn up a number of time tables plus and many photos that will get the creative juices flowing. Leamington may be about to lose Heinz, but there are lots of good reasons to keep its memory alive in miniature as the basis for an achievable layout.